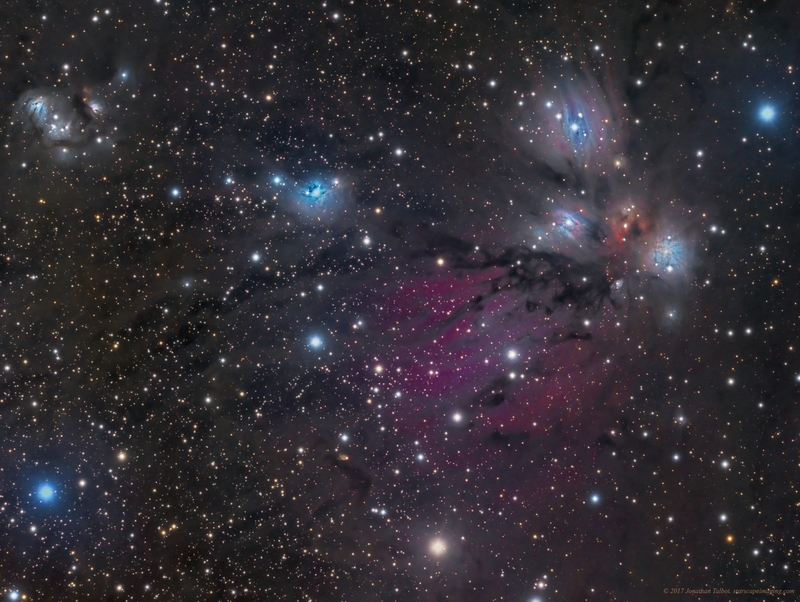 NGC 2170 is the blue reflection nebula on the right side of this image below the bright blue star in the upper right. It sits within this much larger area of reflection and emission in the constellation Monoceros. The area contains copious amount of galactic dust and many other objects.